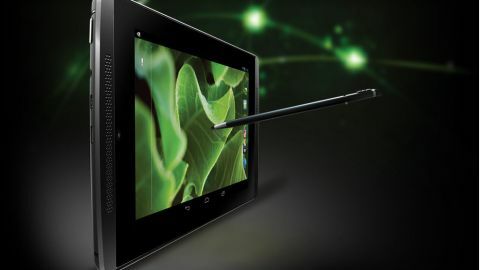 In September 2013 Nvidia revealed it was launching its own tablet powered by the Tegra 4 quad-core processor - the same powerhouse that sits at the heart of its Shield gaming gadget. Unusually for a budget tablet, the Tegra Note also launched with a stylus, something we've only otherwise seen on Samsung's Galaxy Note range. This isn't the first tablet that Nvidia has had a hand in, but previously it's limited itself to nothing much more than chip developer and software partner. The first popular Android tablets such as the Motorola Xoom and Asus Transformer rocked Nvidia's Tegra 2 processor, which for the time was far ahead of rivals in terms of graphical capabilities, and with a cosy relationship with developers Nvidia managed to get a host of quality gaming titles on to the Tegra-based tablets as exclusive titles. Advent's first Vega tablet was also powered by the Tegra 2 and due to a bargain price and rooting-friendly firmware, but after initial success its third generation Tegra processor missed the mark and failed to make it into many devices other than HTC's One X range – losing out to Qualcomm in the process. Nvida is back though, and in the lengthly named Advent Vega Tegra Note 7 it is able to flaunt its latest processor to the world, the Tegra 4. You can pick the Tegra Note 7 up for around £130 putting it right in the mix with the likes of the Kindle Fire HDX, Nexus 7 and the lower priced Tesco Hudl. The Tegra Note 7 has just been updated to a near-vanilla Android 4.3 Jelly Bean, with the only tweaks being to accommodate extra functionality to the stylus and couple of other minor tweaks. There's Android 4.4 KitKat promised by Nvidia, but when this will materialise no one is yet sure. The Advent Vega Tegra Note 7 comes in at a solid 320g, a whole 30g more than the latest Nexus 7, though 50g lighter than Tesco's Hudl. It would be stupid to call it heavy, but it feels weighty enough to avoid feeling cheap. Dimensions clock at 120 x 190 x 9.4mm, making it less tall but thicker than both the Nexus or the iPad Mini 2. Up front the Tegra Note 7 is a pretty standard tablet affair. There are no special design flares and it's a relatively unmistakable black slab in comparison to more premium affairs from Apple and Samsung. One thing that Asus could take notice of for their next Nexus tablet, however, are the stereo front-facing speakers driven by Nvidia PureAudio. In landscape mode they're positioned either side of the screen in a configuration most similar to HTC's award-winning One smartphone. They're not bad speakers either, and though they're not going to give you cinema-rivalling performance, they're clear enough to make watching YouTube clips far more enjoyable than the mono or rear-positioned speakers that so many other manufacturers seem comfortable with. To the left (in landscape) there's a front-facing camera with VGA resolution and an auto-brightness sensor. The Tegra Note 7 takes design cues from the original Nexus 7 on the rear of the tablet, with the middle portion given a tactile feel thanks to dimpled finish. In the centre there's the embossed Tegra Note logo, while above and below this band of rubber you'll find the relatively understated Advent Vega branding. Also on the rear you'll find a 5MP camera, that unfortunately omits any form of flash, and is positioned rather too close to the power button for my liking. This positioning means you'll often end up applying smudges to the camera when fumbling for the power button, which of course can inhibit camera performance. Connectivity mostly resides on the left or top edge of the tablet, depending which way you hold it, with a micro-USB port for charging, a micro-HDMI port for HD video output and a 3.5mm jack for audio. Alongside these connections you'll find the power/wake button which is raised to just the right degree to make it easy to find. The other side harbours a single-bar volume rocker that is a reasonable size, but suffers the same affliction as all single-button volume controls in that locating direction of the volume in the dark can sometimes be a little awkward. Alongside the volume bar is the very welcome addition of a micro-SD memory card slot. It's worth mentioning at this point that when Nvidia updated the Tegra Note 7 to Android 4.3, it also furthered the flexibility of the micro-SD card support, by allowing apps to be installed to the SD. Finally the right/bottom edge is where you'll find the stylus residing, but more on this later. There's also a grille that allows further sound output as well as being home to the Note's microphone. Delve in to the internal specifications of the Note, and there's almost nothing to let down the side. The quad-core Nvidia Tegra 4 processor is clocked at a respectable 1.8GHz, only a 100mhz drop from the chip found in the Shield. The processor is coupled with 1GB of RAM and a 72-core graphics processor which Nvidia claims to be the most powerful tablet GPU on the market, and judging by its gaming and benchmark performance, there's little to oppose this other than perhaps the new iPad Air. For storage, there's only one option available with 16GB built in, which is actually pretty respectable when you consider a lot of the budget Android tablets will hope you'll make do with only 4 or 8GB of storage, though we'd have welcomed more options. The micro-SD card slot will afford you another 32GB, so you shouldn't be too pushed for space, even if you're loading up on games. Everyone's been spoilt with the full-HD (and higher) screens that other new tablets have launched with, and while the Tegra Note 7's screen is far from awful, the 1280 x 800 LCD display makes pixels more noticeable than ever at 215ppi. Most will likely be more than content with the quality of the screen, especially considering the current price of the Tegra Note 7, the excellent viewing angle and bright and punchy colours thanks to IPS technology. There's a small gap between screen and the glass, so you don't quite get the painted-on effect that some other tablets have achieved, which could have made using the stylus an even better experience. Battery capacity comes in at a respectable 4100mAh, that allows the Note to muster a reported 10-hour battery life that I'll confirm (or deny) later in the review.